* Fostering Connections Implementation Toolkit 2011 Nat. * Issue Brief: Making Best Interest Decisions under Fostering Connections 2011 Nat. * Clearing the Path to School Success for Students in Out-Of-Home-Care 2009 Nat. * How the IDEA and Fostering Connections Overlap 2012 Nat. * Issue Brief: Infants and Toddlers with Disabilities in the Child Welfare System 2012 Nat. * Issue Brief: When School Stability Requires Transportation 2011 Nat. * Issue Brief: Making it Work: Child Welfare and Education Agencies Collaborating to Ensure School Stability 2011 Nat. * Issue Brief: Making the Case: Engaging Education Partners in Addressing the Education Needs of Children in Foster Care 2011 Nat. * Issue Brief: Implementing School Placement Decisions 2011 Nat. * Special Education Decisions for Children in Foster Care: Everyone Has a Role 2007 Nat. School Discipline and Students in Foster Care 2014 Nat. Issue Brief: Identifying Special Education Decision Makers for Children in Foster Care: State Law Questions 2007 Nat. 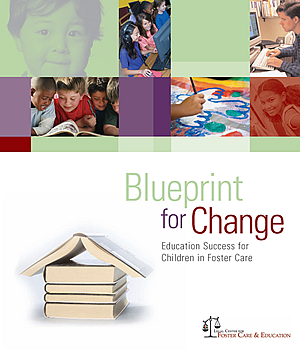 Issue Brief: Supporting School Proximity for Children in Foster Care 2011 Nat.